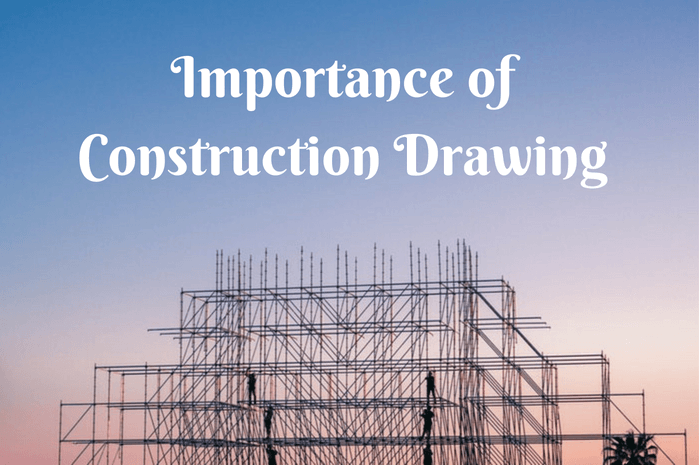 Why is construction drawing important to develop a building? In order to execute any building project, a set of architectural drawing is required is required on the construction site, assigned by concerned architect in order to define the minutest of the details such as the materials to be used, highly accurate dimensions, etc, which may be produced in the form of detailed architectural floor plans, elevations, sections, detail drawings, etc. Construction Drawings can be defined as the architectural drawings assigned by the architect to convey his concept, ideas, construction details and other specifications required on the site y the contractor to execute the design as per the defined specifications. It also acts as a record for the client for his existing building. Working Drawing Plans: These are the drawings showcasing the floor plans from the top, defining the location of the doors, windows and other interior elements of the floor, including the furniture layout. Elevations: Elevations define the exterior views of the buildings from either side of the buildings It defines exactly how a building will exhibit from outside once the construction is completed. Sections: Sections are formed when we slice down a building. It depicts the cross-section of each and every structural component of the building including the walls, ceiling, staircases, doors-window openings, in addition to all other important elements of buildings. Setting out Plans: These specifically include the dimensions of each and every minute element on the plans. It is particularly helpful in defining the distance of elements from one another. Any minor mistake on the setting out plan can actually lead to a changed design on the site. Electrical Plans: These drawings are helpful in defining the location of all the electrical appliances as well as their switches. They also define the connections of internal wiring to help the electrician while laying out the wiring in individual places. 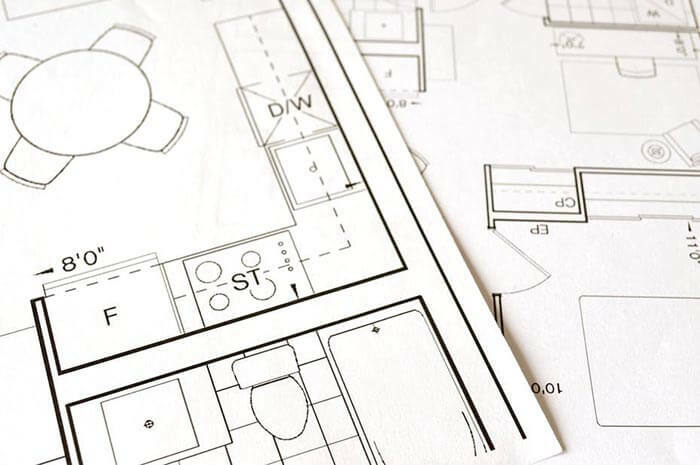 Plumbing and Sanitation Plans: These drawings are specifically meant to define the location of the faucets and taps in wet areas such as the kitchen and bathrooms. Structural Drawings: These are developed by a structural engineer in accordance with the drawings assigned by the architect to define the specification of the reinforcements and other structural elements to ensure the required strength of the building structure. HVAC Drawings: In the case of a centrally located ventilation system, a detailed set of HVAC drawings is allotted by the architect to define the location of openings and ducts location in the building. 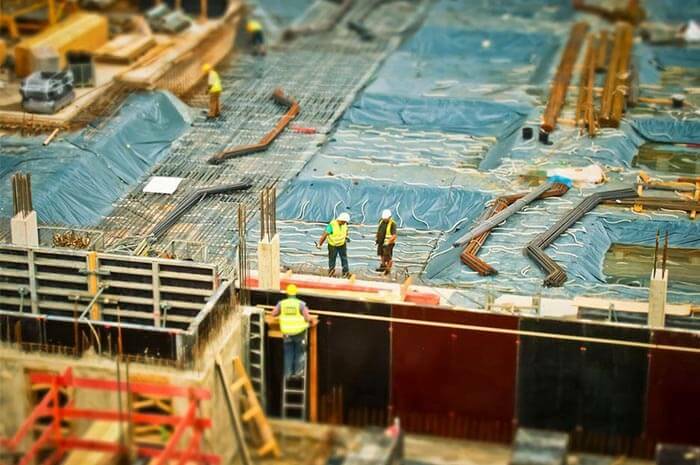 Typical Construction Details: These are the most important set of drawings to be used on the site as they define each and every single construction detail which helps the contractor to regulate the construction on site. Sometimes, in a hurry to complete the construction process of a project, architects might focus less on the detailing process of the project on the drawings, however, this might lead to a further delay in the construction process and an increase in the estimated budget due to insufficient instructions defined by the construction drawings. This which will lead to spending more time on the construction site to define the specifications for proper execution. The importance of construction drawing lies in the proper and smooth execution of the construction process on the site. If insufficient information is imparted by these drawings, it might lead to a hampered design execution. 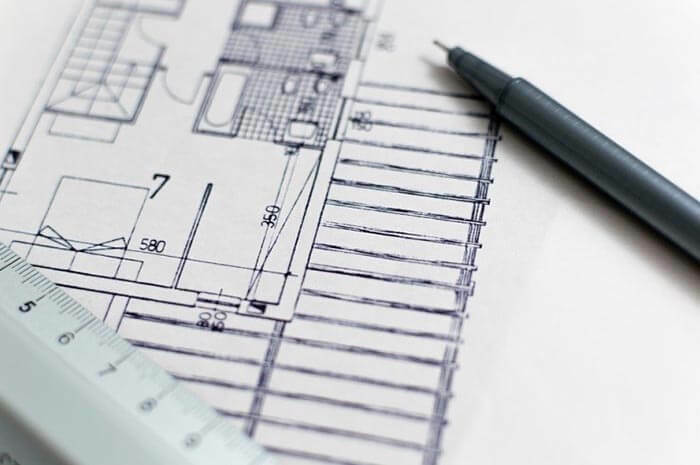 Before assigning the blueprints on the site, each and every construction drawing must be checked and verified by the concerned architect as well as the other technical people involved in the development of respective drawings to prevent further mishaps and delays on the construction site. The understanding of construction drawings symbols plays a major role in decoding the assigned construction drawing plans and other drawings on the construction site. A set of standard construction symbols have been defined over the years to depict several instructions on the architectural drawings which are commonly used and understood by any person concerned with the construction industry. Each and every single line on the architectural drawings depict something in particular which needs to be understood properly and executed on site as per the defined instruction. A detailed knowledge of the architectural and construction symbols is necessary to understand and help the execution on the site by the concerned supervisors. The experts at BluEntCAD can help you with this. All you have to do is reach out. Hey Ivana, Thanks for liking our blog post. Keep reading and liking us.